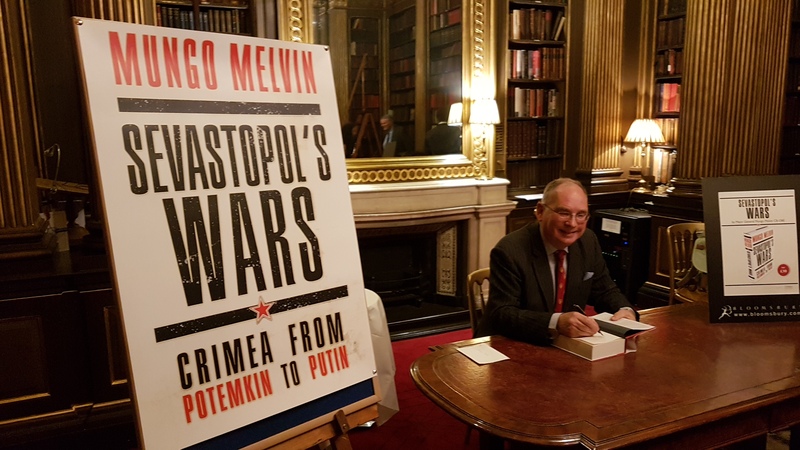 Mungo Melvin signing copies of Sevastopol’s Wars on 5 April 2017. Reviews are now coming in. So starts the review of Sevastopol’s Wars: Crimea from Potemkin to Putin, published by Defence Viewpoints from the UK Defence Forum, on 15 June 2017. As befits a book written by a military historian, Sevastopol’s Wars is well equipped with reference material. An extensive bibliography is complemented by a useful selection of maps (the author is a Royal Engineer, which has been the provider of military maps), and the book is well foot noted. The reader will be richly rewarded by this book, both in the reading and for future reference. For the full review, please follow this link. Thank you Nick and the UK Defence Forum for your comments.